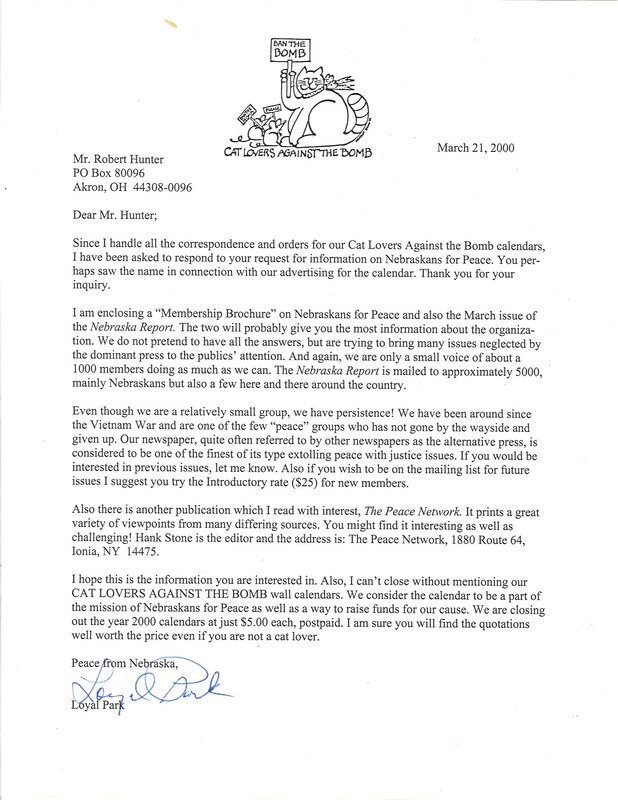 Cat Lovers Against the Bomb, or CLAB as they refer to themselves, is described as “an informal network of cat-loving peace activists and their companions”. 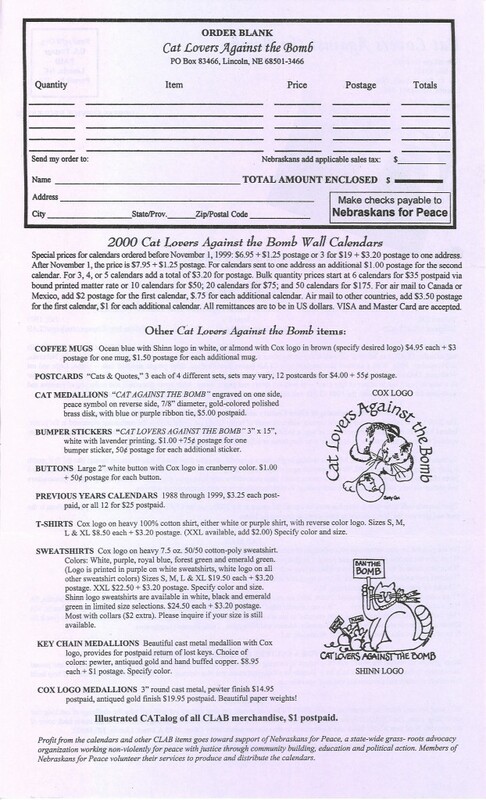 To date, they have distributed 32 calendars aimed to unite those of like mind – – cat lovers and peace lovers. 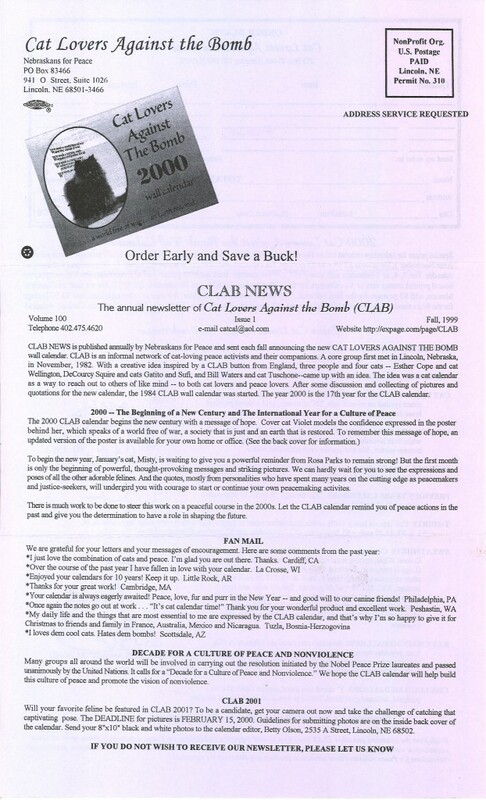 The below newsletter highlights information about the 2000 calendar, as well as comments from fan mail, other items available for purchase, and the chance for your cat to be featured in the 2001 CLAB calendar.